For association members and staff who want an opportunity to voice their support or opposition to legislation through the election process, Indiana CRNA-Dream PAC provides a mechanism for separate, voluntary contributions to political candidates who support CRNAs. 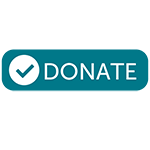 Donate to the Indiana CRNA-Dream PAC today. Welcome to the Indiana Association of Nurse Anesthetists. Since 1937 we have been protecting our patients, serving our members!